Are you planning an epic holiday bash that will rival any party of the past but you suddenly realize that your current chairs in your entertainment room are not looking that great. Perhaps you are planning on hosting more people than seating arrangements allow comfortably and you need sufficient seating that won’t take up all of the floor space of your kitchen and/or living room. Maybe you want to add a funky element to your party that leaves people asking, where did you get these cute bar stools, and once you tell them? They exclaim they only cost how much! 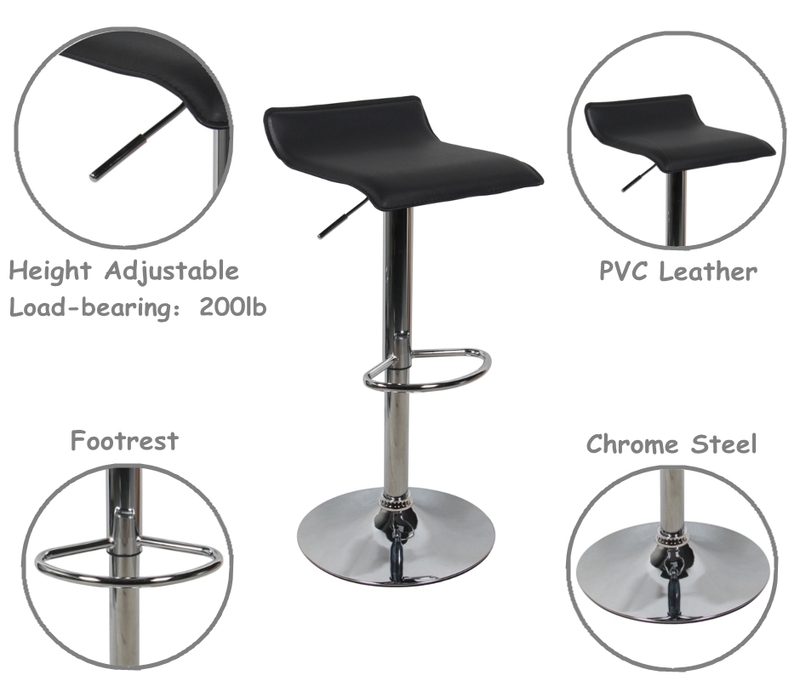 You can achieve all of the above by checking out the multiple swivel bar stools that are available on 123Ink.ca today! With competitive pricing and high-quality products, free shipping and guaranteed purchases, there is nothing to lose but everything to gain. The Moustache Adjustable Height Swivel Bar Stool is a sleek modern item that is designed to contrast or complement any room of the home. With its black and contemporary seat offset by a chrome base and support, this stool is a must for any room. 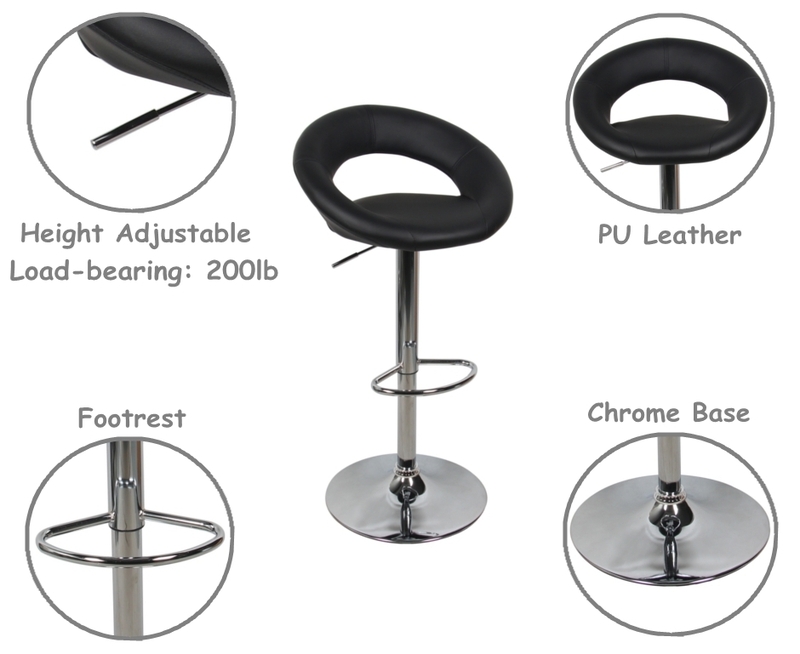 If you are hosting people with a range of heights, then it is no burden or hindrance at all, as this bar stool is fully height adjustable and can be easily raised or lowered by the use of a lever that is smartly hidden by the seat itself. This bar stool can hold up to 250 lbs. at any given time and to add additional safety measures, features a chrome finished footrest partially down the support beam. The second bar stool in the Moustache line is the PVC Bar Stool, which features adjustable heights (thanks to the craftily hidden lever under the seat) and a chrome finish that offsets the sleek black seat. This bar stool can hold up to 250 lbs. and also features a footrest to prevent aching feet during your soirée that can occur from constant dangling off the floor. With a price of only $34.99 per stool and a free shipping system that allows for all orders over $49.00 to be shipped cost-free, there is nothing to lose when purchasing this sleek and modern piece for your kitchen or entertaining space. If you are feeling futuristic and funky, then check out the Moustache Adjustable Height Swivel Bar Stool that features a moon shaped padded seat! 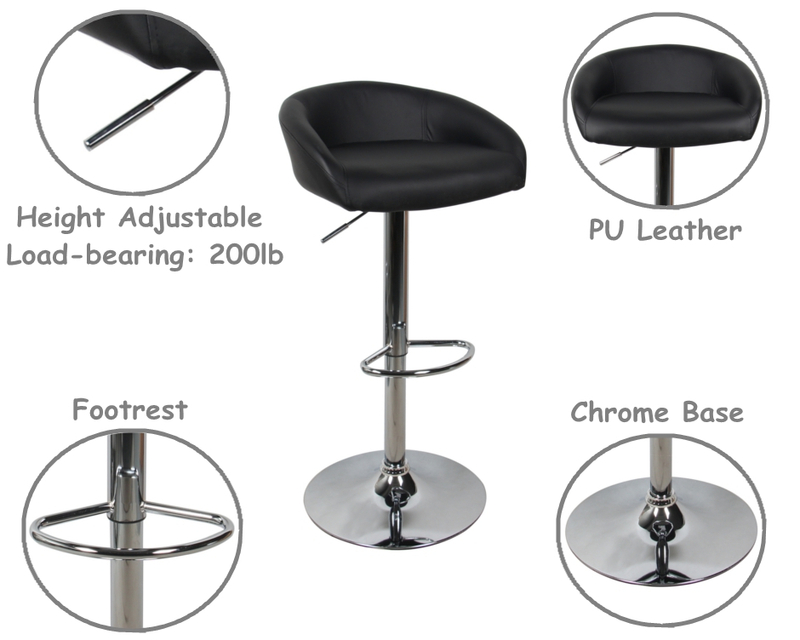 This bar stool has all the other benefits of the previously mentioned stools, such as adjustable heights, a chrome finish on the support, base and footrest, but has a modern seat. The back of the seat is slightly raised to prevent backaches and offers a safety feature in the case the occupant leans back a tad too much. With swivel action of a full 360°; no guest will miss any of the festivities going on around them! If it is your turn to host the yearly holiday function, then why not head over to 123Ink.ca and check out their full range of bar stools to spice up any room and get people’s heads turning. These small and lightweight bar stools will not take up massive amounts of floor space, such as a coach would, but supplies enough seating for each guest! What is there to lose?